This book is cute, cute, cute! 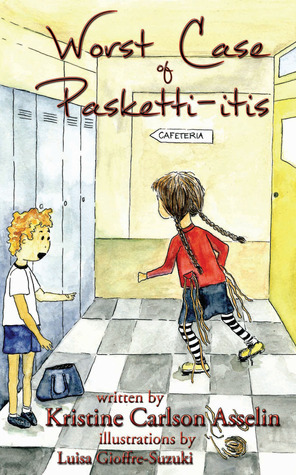 Pasketti-itis is a fast-paced picture book full of fun imagery. It reminded me a bit of one of my childhood favorites, The Chocolate Touch, in that it instills a lesson for picky eaters in a way that’s playful and entertaining. It’s a great book for reading aloud (my daughter and I read it together); all of the different pasta names (farfalle, spaghetti, rigatoni, fettucini) are something like a tongue twister when read quickly, which my girlie thought was all kinds of fun. Pasketti-itis‘s illustrations match the story’s merry tone. They’re bright and cartoon-ish and rather silly. They totally held my kiddo’s attention. If you’ve got kids at home, especially kids with crazy food demands, or kids that love to giggle their way through a story, Worst Case of Pesketti-itis is definitely worth checking out. 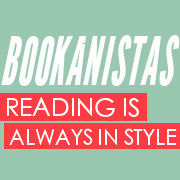 Tell me: What’s your favorite picture book? I think I just kind of love that it has Pasketti in the title. 🙂 Sounds like a fun read, and I’m a serious picture book lover. I’m a picture book lover too, Jaime! Even though C likes chapter books best now, she’ll still indulge me and let me read her a picture book now and then. Our picture book collection is even larger than my YA collection! Thank you to Katy for her amazing review! My book launch party is this weekend and I’m so excited for Pasketti-itis to finally be out in the world! Congrats again, Kris! I’m so happy for you, and I’m so proud to feature your fantastic book on my blog. Enjoy your launch party… I hope you’ll tell us all about it! Oh my… sounds like a match for my picky eater. Will check it out! I hope you and your picky eater enjoy PASKETTI-ITIS, Kat. I thought it was super fun!